create. a young girl a few houses down the street from me created this cold creature. 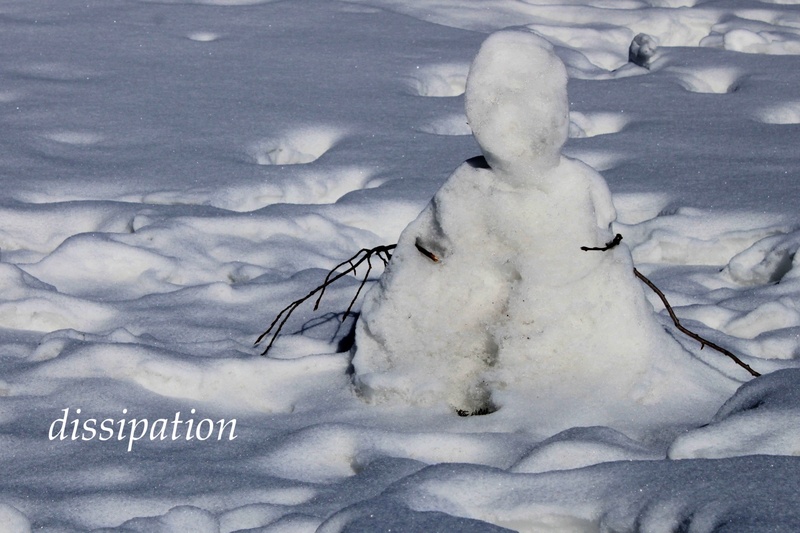 she gathered fresh snow, and squished it and shaped it and rolled it and stacked it to create…a snow man! dissipate. 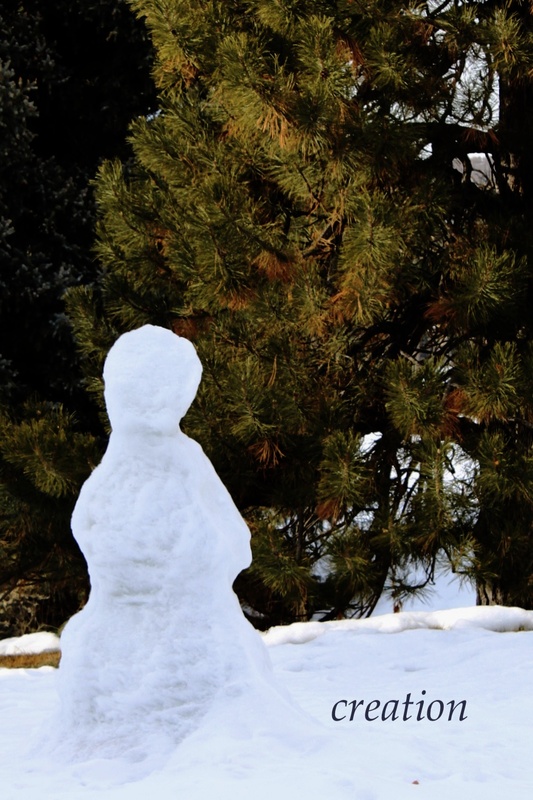 the disappearance of the man of snow. a result of neglect? once created, then discarded? or is the heat of the sun more powerful than the warmth of a young girl’s heart?